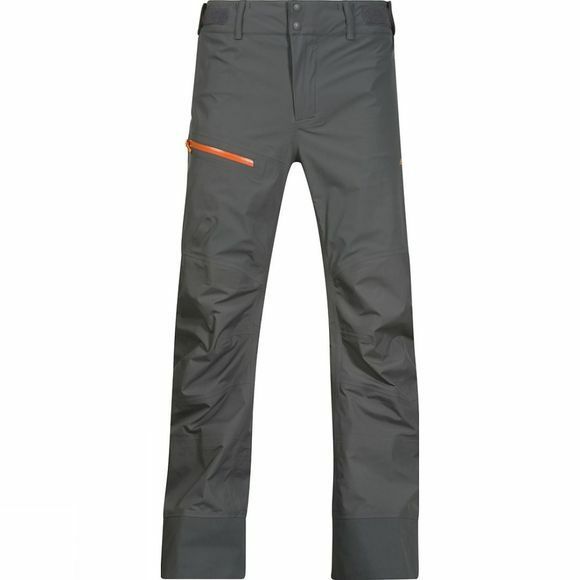 The Mens Storen Pants from Bergans are Lightweight 3-layer shell pants in Dermizax NX fabric that provides maximum weather protection, outstanding breathability and exceptional freedom of movement. Storen is part of Bergans’ Slingsby range, which consists of ski touring and mountaineering products in which superior functionality, low weight and premium durability are perfectly balanced. Slingsby provides exactly what you need. Nothing surplus to requirements! Small loop inside the pocket to retain a transmitter, receiver.